SINCE 1999 MACHINE HAVE EARNED A REPUTATION AS THE MASTERS OF SCREEN PRINTING. We’ve brought together a select few styles that we recommend and that are our favourites. These are products we’ve printed, worn and tested. Whether its a t-shirt or a tote bag, for your new t-shirt range or just as a giveaway, this selection is the best place to start. 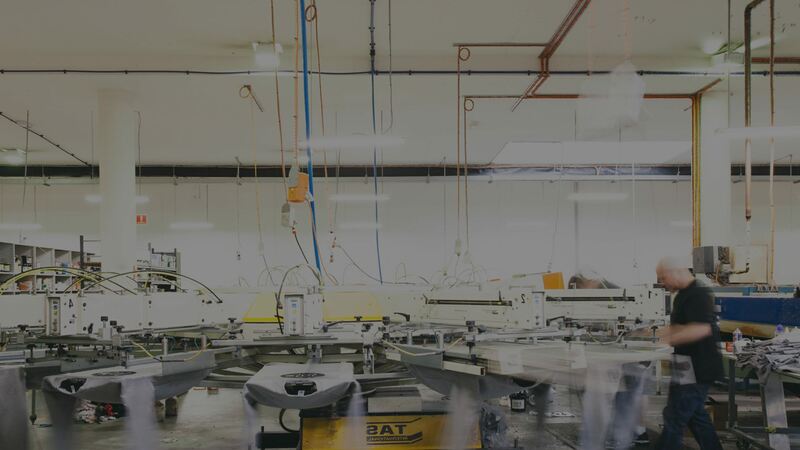 Witnessing the increased demand for premium screen printed product many years ago, Machine seized the opportunity to create a true one-stop-shop. We offer sound advice and expert opinion. If you need any help planning your order be sure to get in touch. Our live screen printing events are a creative and entertaining way to engage and captivate your audience. We offer a unique marketing solution with attendees taking away a hand printed t-shirt or tote bag and a positive memory of the event. If you're an event planner, marketing or p.r. company looking to create a buzz, give us a call. There was a problem connecting with the server please try again later.